Morgellons Disease, Could this be you? Morgellons Disease, also referred to as Morgellons syndrome, is a relatively new problem that seems to be growing by leaps and bounds throughout the US and even in other countries. Although the condition "Morgellons" possibly dates back to the late 1600's, it has only been since 2002 that it has become a modern day concern. It first came to light when a Florida biologist, Mary Leitao, discovered an unusual sore on her 2 year old son. I won't tell the whole story here since you can find it in numerous other locations on the web. Her experiences and research led her to give the name Morgellons to this condition, for lack of a better explanation. Since then, thousands of other people across the US and other countries have recognized their own symptoms in her descriptions and believe they have what is becoming more well known as Morgellons Disease. Sadly, these same people are not getting any help from the mainstream medical community by all reports we've been given. In fact, they are being labeled as crazy or delusional and usually offered anti-psychotic drugs as they best course of treatment. Amazing! I certainly don't think people suffering from what they believe is Morgellons syndrome are crazy, but it IS a crazy illness. The symptoms are really debilitating and from what those who experience it have said, it almost does drive you nuts. Of course, just because you may have one or more of these symptoms, that doesn't mean you are necessarily afflicted with this new, rather mysterious, ailment referred to as Morgellons disease. 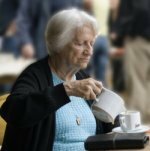 You probably recognize yourself that there are numerous other conditions that can be the cause of several of those described symptoms. 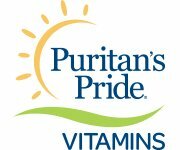 Fortunately, the natural remedy that I would recommend as a first and very important course of action, would be beneficial for almost any condition that causes those symptoms. Making your body healthy allows the body to heal all manner of diseases. So, even though I wish I did, I don't have a sure-fire Morgellons cure to offer you. But I can recommend a natural Morgellons treatment that may give your body the resources it needs to heal itself. It's certainly worth a try! 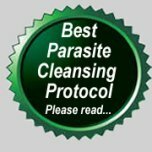 If you've found relief from Morgellons, either with my recommended treatment or from some other source, please take a few moments and share it here using the form below. There will be others who come after you, desperately seeking answers and relief. I think it is so important to offer whatever help you can based on your own experience. Do you suffer from Morgellons? 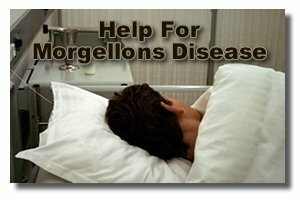 If you or someone you love suffers from the condition many refer to as Morgellons Disease, please tell your story here. You can ask questions or share with others what you have found to work or not work in your quest for a remedy. If you are asking a question, give details as to what you have already tried so that we understand where you are in the process. Also, the more specific you are in sharing your story the better so that others can be helped. Suffering Since September 2008=Delusional Parasitosis=Wrong!!! Will Morgellons ever be considered a real condition? The Zapper kills the crawling sensation and kills parasites dead!